O Project Kahn παρουσιάζει δύο νέες δημιουργίες του. 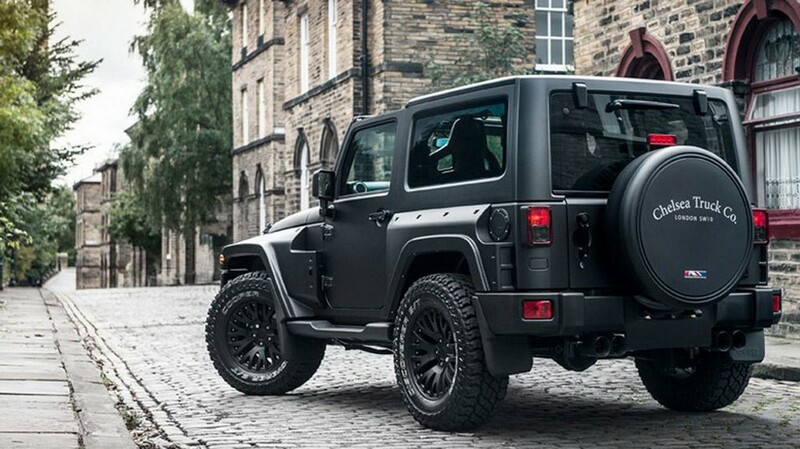 Το Jeep Wrangler Black Hawk Edition φορά νέο bodykit αποτελούμενο από νέους προφυλακτήρες, φουσκωμένα φτερά, νέα μάσκα, νέες μαύρες ζάντες 17″ και LED φώτα ημέρας, ενώ στο εσωτερικό υπάρχουν νέες δερμάτινες επενδύσεις και bucket καθίσματα για τους μπροστά επιβάτες. 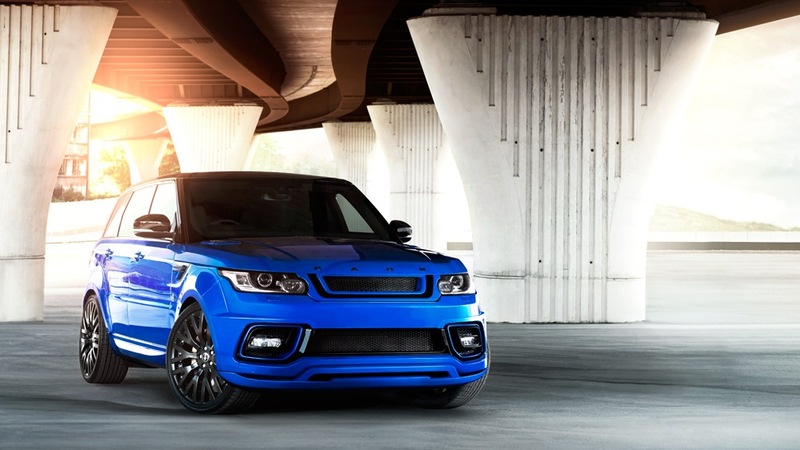 Από την άλλη, το μπλε Range Rover Sport RS, φορά και αυτό νέο bodykit, carbon διακοσμητικά, νέα φώτα ομίχλης, νέα γρίλια, αεροτομή, νέες ζάντες 23″ σε ματ γκρι χρώμα και τετραπλές απολήξεις εξατμίσεων. Στο εσωτερικό συναντάμε νέες δερμάτινες επενδύσεις και αλουμινένια πεντάλς. 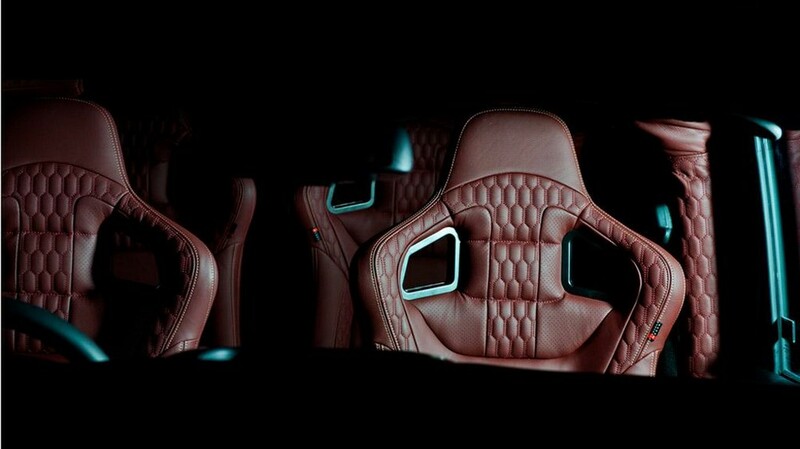 The Project Kahn Range Rover Sport RS Pace Car was revealed to the public at the 2016 Geneva Motor Show. 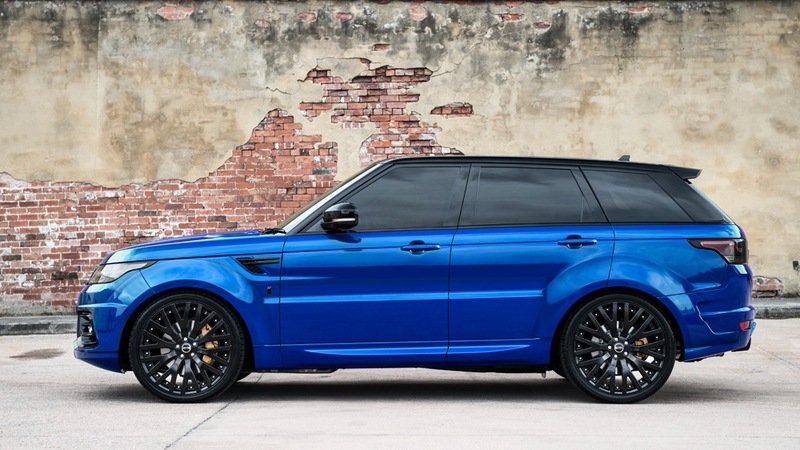 Presented in Imperial Blue with Matt Pearl Grey detailing, this RS model features a new set of extended front and rear wide wing arches, side vents, tailgate strip, fully redesigned front and rear bumper assemblies in lightweight carbon composite with exposed carbon fibre detailing. The bumpers are precision designed incorporating the original front fog lights, and features 3D mesh inserts on all intakes. 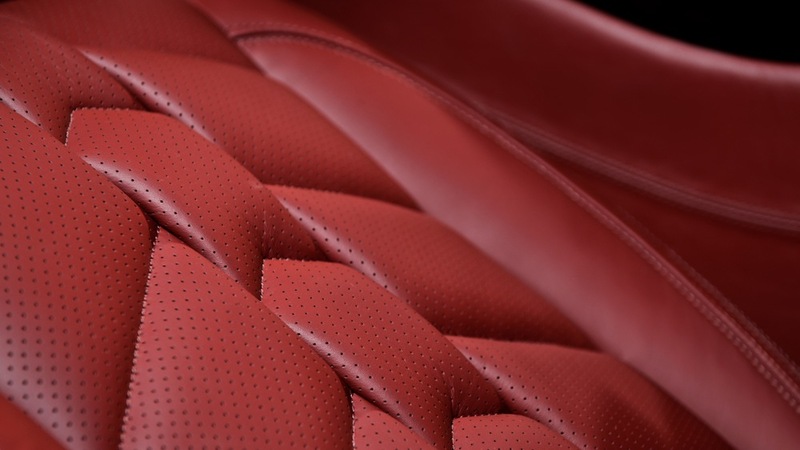 In addition, the RS Pace Car features a replacement front grille with floating insert, as well as an extended roof wing and boot lid spoiler formed in a lightweight composite. 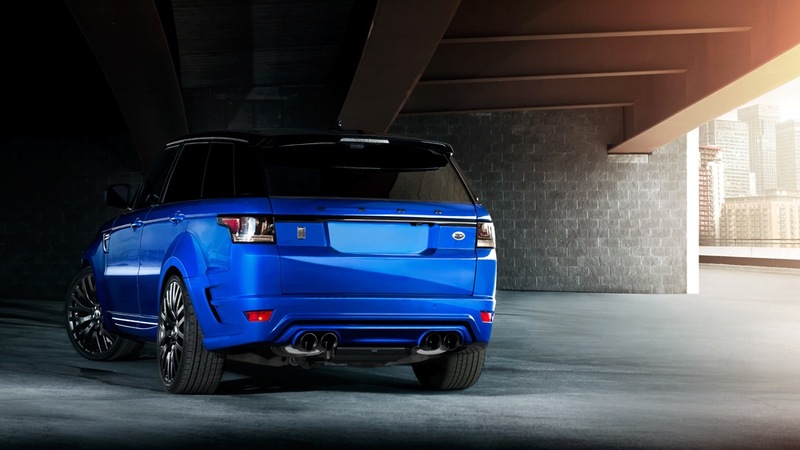 The exterior styling is completed by a specially redesigned stainless steel twin quad crosshair exhaust system which complements the appearance of the rear bumper assembly. 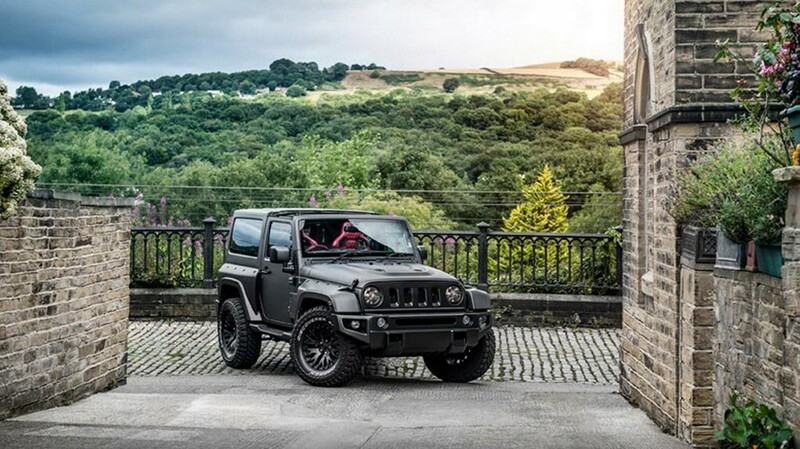 To complete the visual transformation, the factory wheels have been replaced with a new set of 23″ RS Matt Pearl Grey wheels with 305x30x23″ tyres, complemented by painted brake callipers. 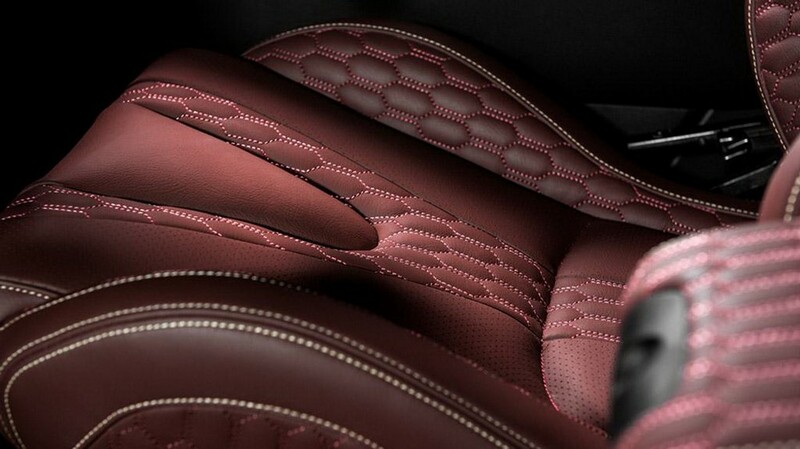 Inside, the Range Rover is adorned with Cranberry front and rear Bridge Of Weir Herringbone Leather seats. The door tops, door armrests, centre console fascia, instrument binnacle and steering wheel hub have all been re-trimmed to match. 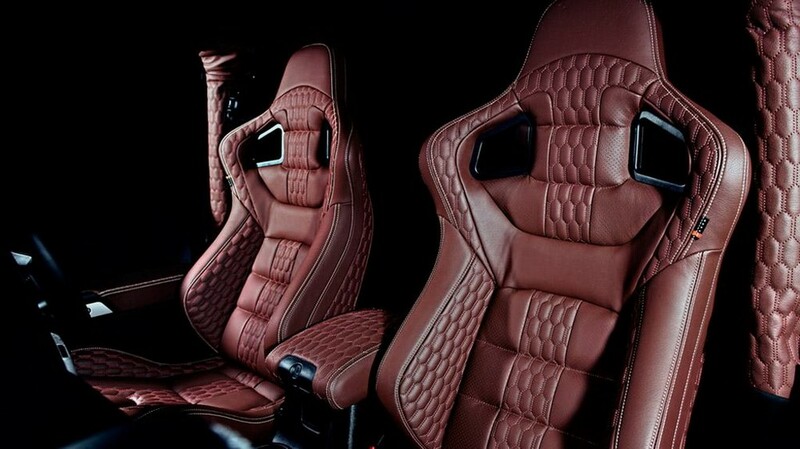 Stainless steel door sill plates and a machined aluminium foot pedal set complete the interior package. 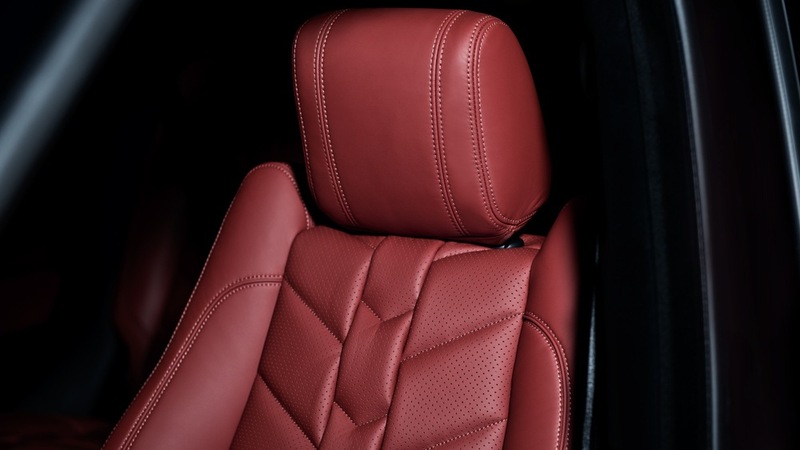 The Project Kahn Range Rover Sport RS Pace Car is available in a 3.0L and 4.4L diesel as well as a 5.0L petrol variant. 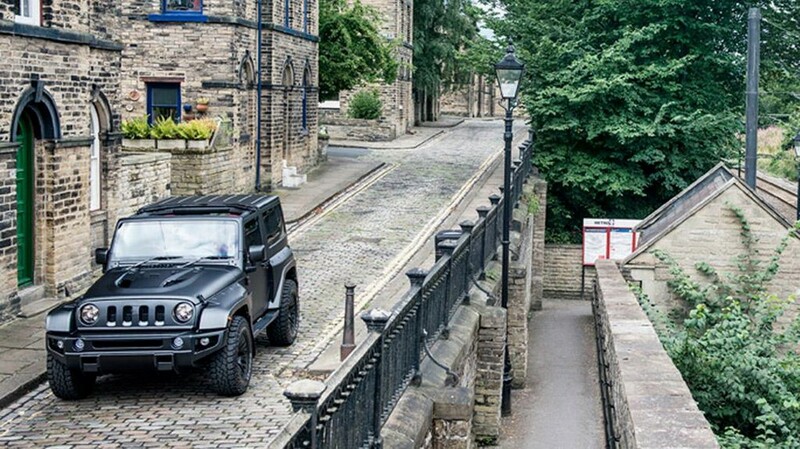 As well as the RS Pace Car, visitors to the Kahn Design exhibition area found a range of vehicles including the Vengeance, Flying Huntsman 110 6×6 Defender Double Cab Pickup, Chelsea Truck Company Jeep Wrangler Black Hawk Edition and a Black Kirsch over Madeira Red Range Rover Vogue RS Pace Car.